Hello everyone! Jeri here from the FotoBella Design Team. I know it's not Thanksgiving just yet, but I am fully in the Christmas mode. Especially since I received this unique new Juniper Berry I Want It All Bundle by Basic Grey from FotoBella. The colors are great and it has a lot of versatile prints, they aren't all strictly Christmas themed. For this Thank You Card I combined a couple techniques. My favorite, being the ragged edges, which I create simply by using water and tearing the paper. I used Prima Marketing Color Bloom Spray in Frost to add some speckles on the card base. 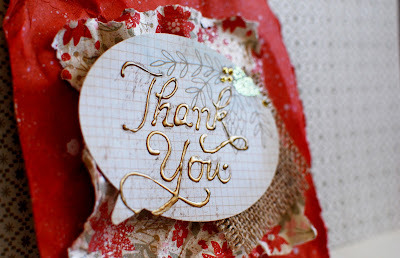 I used the Ranger Liquid Pearls in Brass to write 'Thank You' on this conversation bubble sticker. I love the raised metallic effect! I used some Ranger Stickles Glitter to trace some of the image on the sticker as well. I layered this on top of a crumpled cut out and a frayed piece of burlap. On the reverse side of the Red Paper was this awesome Wood print. 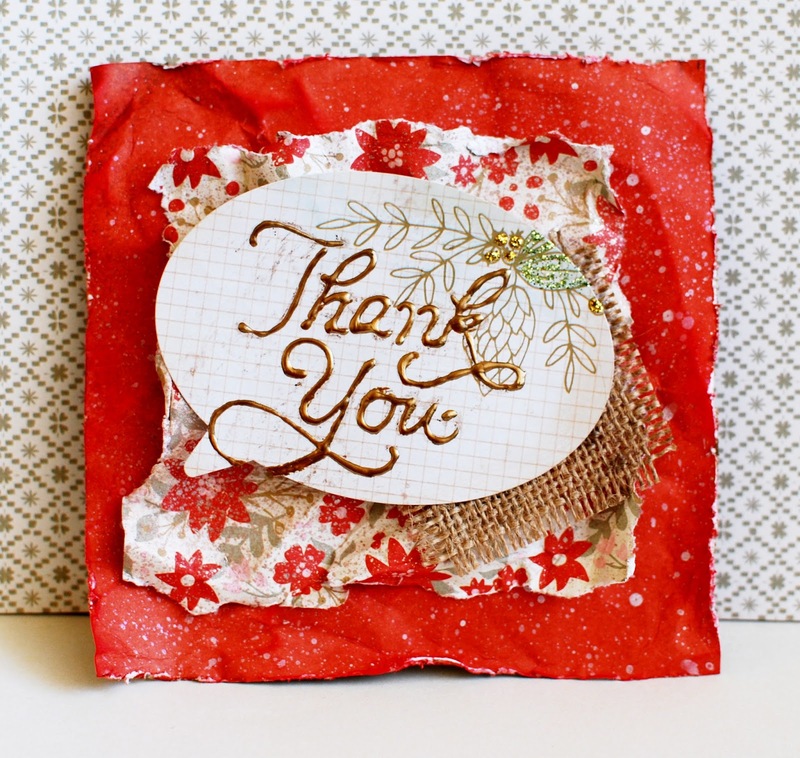 Perfect for a neutral note-side of the card. 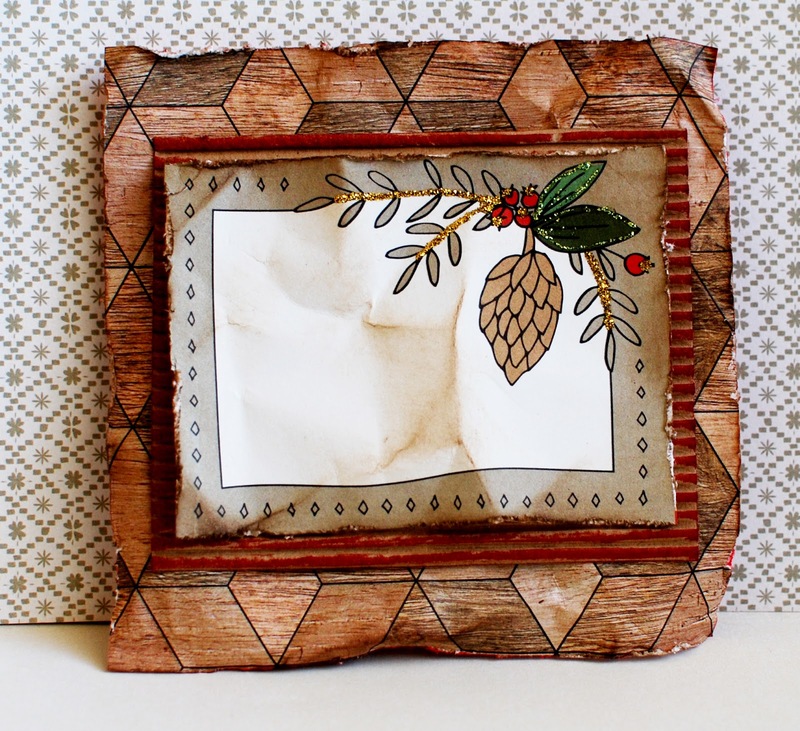 I cut this framed image from the Journal Card Sheet, ripped the edges, crumpled it and inked it. I finished it off with some Stickles Glitter detail on the print. 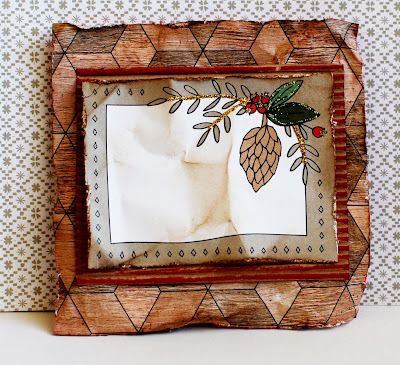 I then layered that on top of a cut piece or corrugate I had on hand. 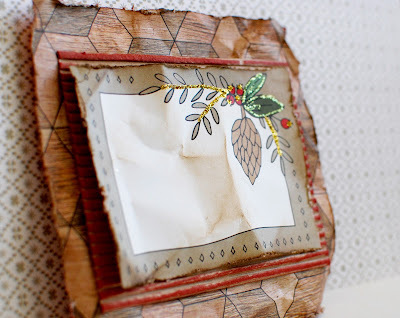 I inked the edges of this with Tim Holtz Aged Mahogany Distress Ink. I hope this inspires you to get crafty today!